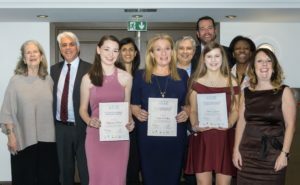 November 30, 2017 — The Global Travel and Tourism Partnership (GTTP) announced that 24 secondary and tertiary students from 12 countries were selected as 2017 Student Research Competition winners out of approximately 2,000 entries. 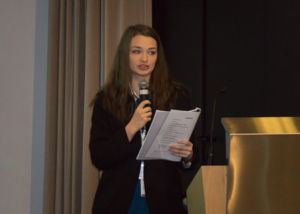 The students presented their case study research findings at the GTTP’s annual student/teacher conference this November 27 – 28 in Nice, France. In Ireland, this competition is integrated within Tourism Insight, an educational program about career opportunities in the tourism industry. 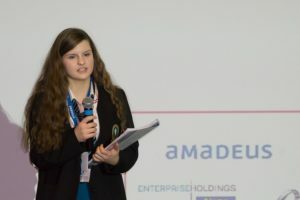 The winning pupils at the GTTP conference discussed how the growing trend for travelers to combine their business and leisure trips (“Bleisure travel”) can attract more visitors and enhance the tourist experience in their respective countries. The students also explained their views on the role of sustainability and technology in supporting Bleisure tourism development. The countries represented this year by the students and their accompanying teachers included: Brazil, China, France, Hong Kong, Hungary, India, Ireland, Jamaica, Kenya, Russia, South Africa, and Tanzania. The winning pair from Ireland was Marta Gacek (16 years) and Stephanie Keane (15 years) of Mercy Mounthawk Secondary School. Their Bleisure case study was supervised by their teacher Stella O’Shea. Student competition entrants research GTTP-assigned topics, which vary year to year. Working in teams, the students develop their skills in research, analytics, and communications, all of which are essential for a successful career in Travel & Tourism. This competition is sponsored by the GTTP’s Global Partners and the Aldo Papone Endowment. In addition, Amadeus provided the conference facilities at its Executive Briefing Centre in Sophia Antipolis. Marriott International, another GTTP Global Partner, provided meals and hotel rooms at Le Méridien, Nice. The GTTP Global Partners Amex, dnata, Eurostar, HRG, Hertz and Travelport sponsored tables at this year’s event awards dinner. Kingdom. Some 467,000 students participated in the GTTP. School systems provide teachers and classrooms. Approximately 1,500 local and international companies share their expertise with teachers and students and provide financial and in-kind support. 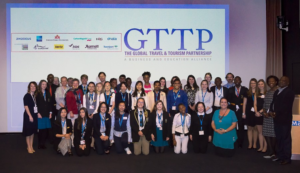 The international industry leaders currently supporting the GTTP are Amadeus, American Express, Carlson Wagonlit Travel, dnata, Enterprise Holdings, Eurostar, The Hertz Corporation, Hogg Robinson Group, KDS, Marriott International, and Travelport. Their executives serve on GTTP’s Advisory Board. The Global Travel and Tourism Partnership is an industry philanthropic initiative to foster future talent and tackle the global skills shortage. The GTTP educates secondary and tertiary school students about careers in Travel and Tourism at a time when they are making career and education choices. The GTTP works in 15 countries in Europe, Africa, East Asia and North and South America. It serves some 667,000 students in more than 4,600 schools. For more about GTTP visit http://www.gttp.org or Facebook.